Our aim is to enable girls of all abilities to learn to play the game and develop their skills, with the emphasis on fun, fitness and friendship. 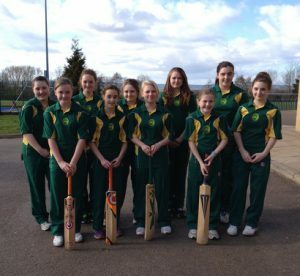 Cricket is the fastest growing girls’ sport in the UK – come and join us! Training starts on Friday 28th April at the Club, from 6pm to 7pm. We will train in two or three groups, each group headed up by an experienced level two qualified coach with several coaching assistants to help. We are pleased to invite you to sign up as members of the club if you have not already done so.